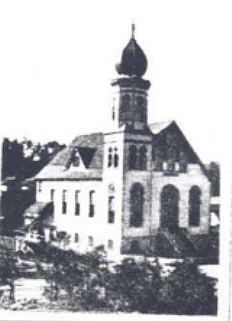 Temple Emanuel was founded in Spokane, Washington, 1892. Temple Emanuel was organized in direct response to the encouragement of Rachel Frank, the first woman to begin the road to opening the Rabbinate to Women. In the spirit of establishing American communities of faith, the land for construction of the synagogue was donated by a Christian member of the Spokane community. The marker is located at 3rd and Madison. 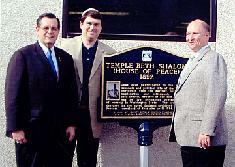 Pictured are Mayor Jim West of Spokane, Murray Huppin President of Temple Beth Shalom and Jerry Klinger of JASHP.